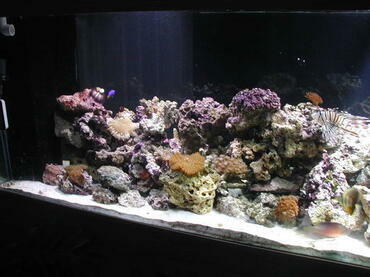 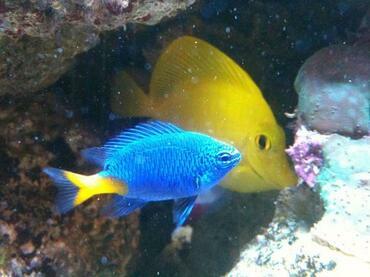 Stocking a reef tank can be a challenge because there are so many different types of coral to choose from. Before you start your reef tank, familiarize yourself with the different types of coral. 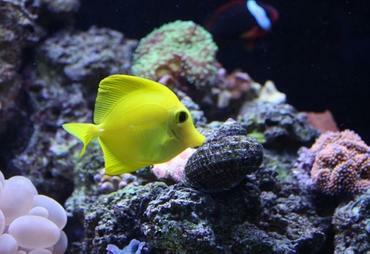 When it comes to setting up a reef tank, the types of coral you choose to stock your tank will have a direct impact on your success. 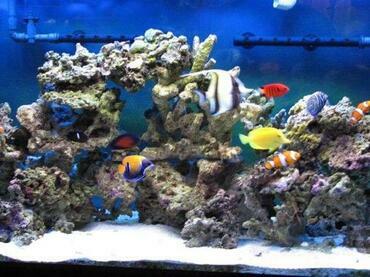 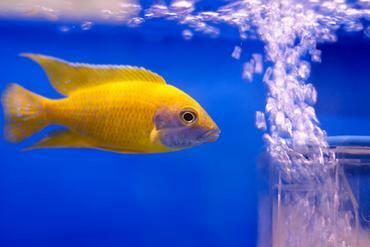 If you are new to the saltwater aquarium hobby, you may want to start off small with a few hardy species of coral and work your way up to the more “advanced” species. 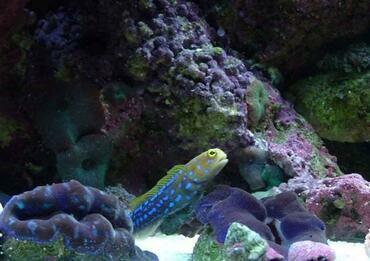 Unless you do a little research beforehand, however, you may not know what types of corals are considered “beginner” species. 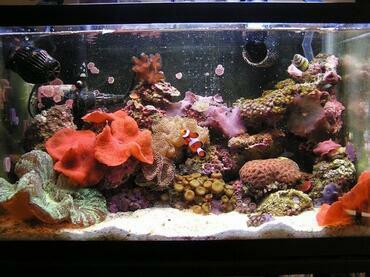 This article will provide you with a general overview of the different types of corals used in reef tanks so you can be sure to stock your tank properly. 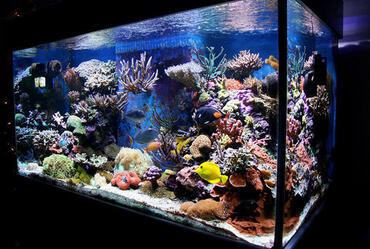 Corals can be divided into two main categories: hard corals and soft corals. 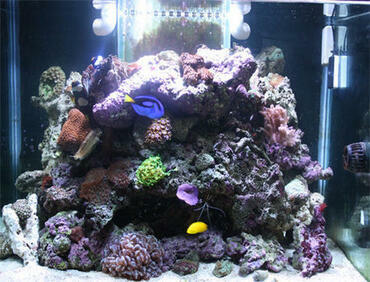 Hard corals are made of rigid calcium carbonate, or limestone, and they often resemble rocks. 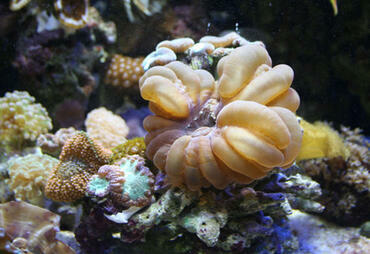 These corals develop an internal skeleton that grows as the coral matures and stays in place after the coral dies. 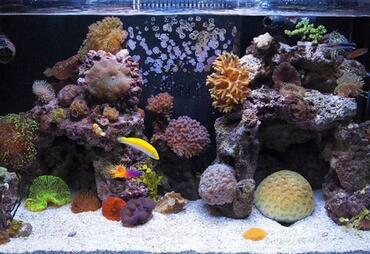 With each new generation of polyps, hard corals grow larger and larger. 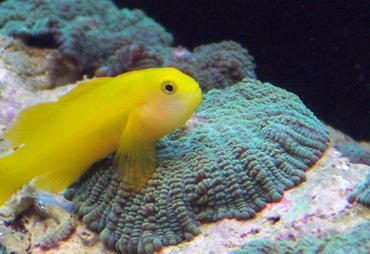 Hard corals do not move and they also have a very slow growth rate – they also do not tend to be as colorful as soft corals. 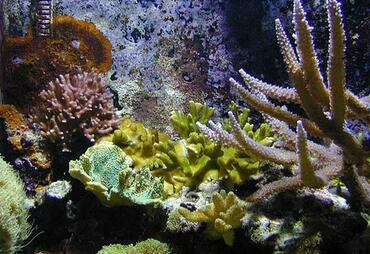 Hard corals derive much of their color from the various types of algae that grow on their surface. 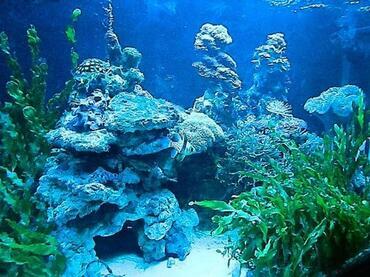 Soft corals are also composed of rigid calcium carbonate like hard corals, but it is combined with protein so that it is less rigid. 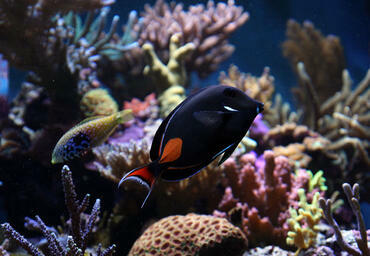 This type of coral does not have an exoskeleton so it is capable of movement – soft corals often appear to be swaying in a breeze because they are affected by the flow of water in the tank. 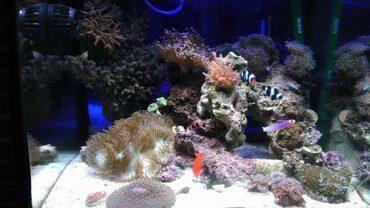 Many species of soft coral are tolerant of varying water conditions and they are easier to care for than many species of hard coral. 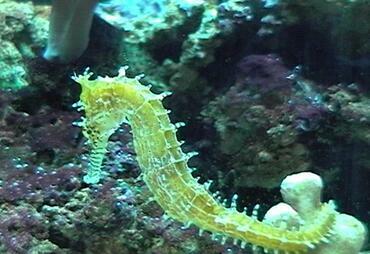 Corals grow in compact colonies made up of individual “polyps” – spineless animals that are typically only a few millimeters wide and a few centimeters long. 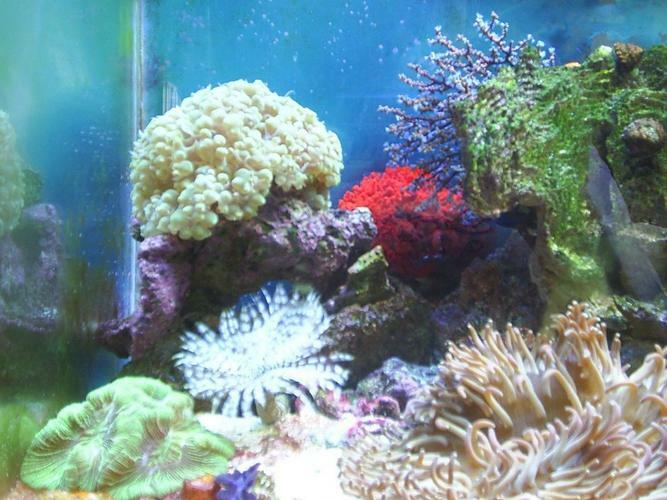 Hard corals, also called stony corals, often exhibit a branching or plated structure and they are generally more difficult to keep than soft corals. 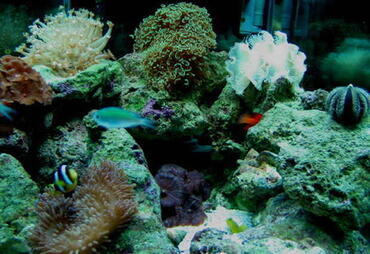 There are two types of hard coral – large polyp stony (LPS) and small polyp stony (SPS). 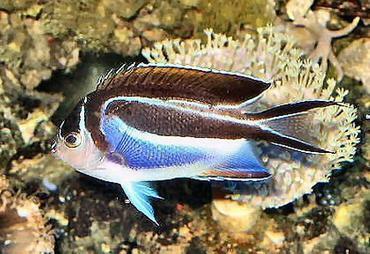 LPS corals have smaller skeletons with voluminous tissues growing on the top – these corals may use water inflation to help keep their shape. 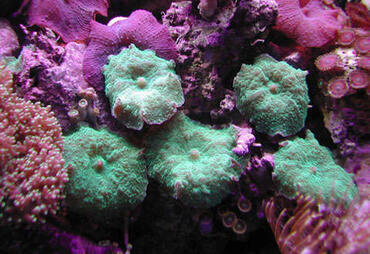 SPS corals have dense, heavy skeletons made up myriad tiny polyps which form a sort of ‘skin’. 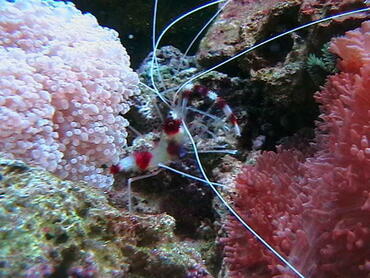 This type of coral is adapted to strong water flow but requires a great deal of sunlight to thrive. 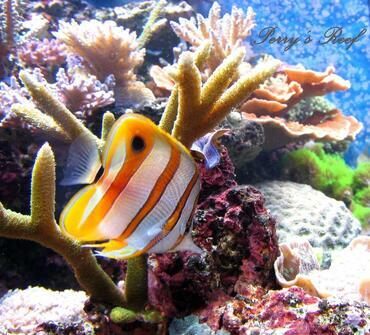 Hard corals are known by the scientific name “scleractinians” and there are a number of different species. 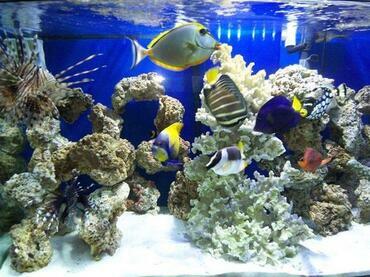 Some of the most popular species of hard coral for the reef tank are brain coral, daisy coral, bubble coral, staghorn coral, finger coral and horn coral. 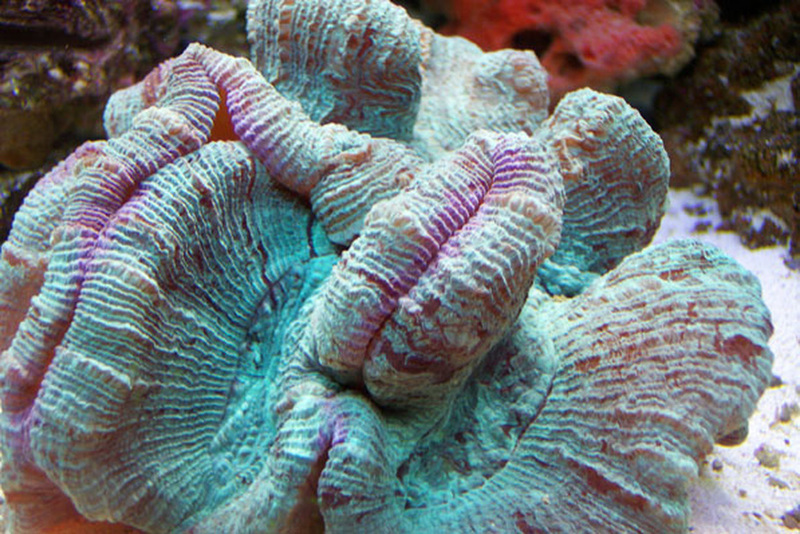 Brain corals are fairly easy to care for in the home aquarium but they are a semi-aggressive species that is prone to stinging other types of coral. 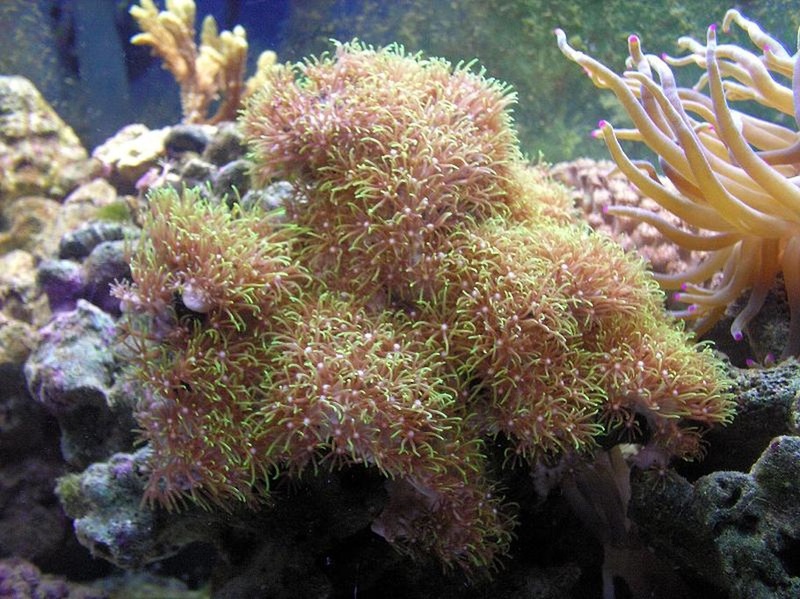 Daisy corals is also sometimes called pipe organ coral and its polyps have a decidedly star- or flower-like appearance when they are open – for this reason they are easily confused with star polyps. 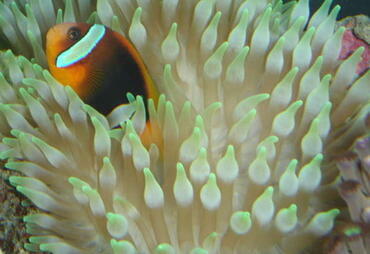 Daisy coral requires a moderate degree of care with moderate to high lighting but they are a peaceful species of coral. 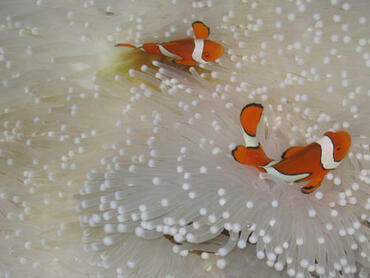 Bubble coral is easy to identify because its polyps form inflated, bubble-like sacks. 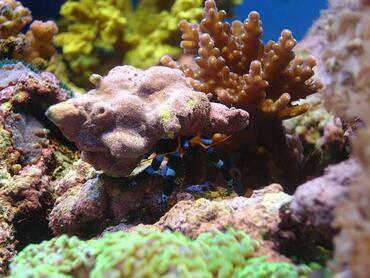 This type of coral is easy to care for but it is a very aggressive species – it is also important to note that the fleshy polyps are very fragile, they can easily be punctured. 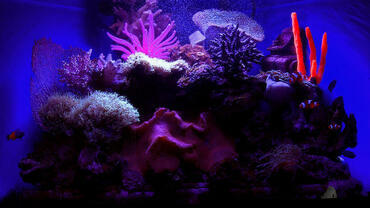 Bubble coral comes in a variety of colors and it only requires low to moderate water flow and moderate lighting. 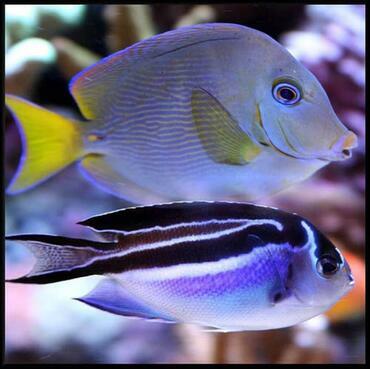 Staghorn coral produces a variety of different shapes and structures but their skeletons tend to be very porous and lightweight. 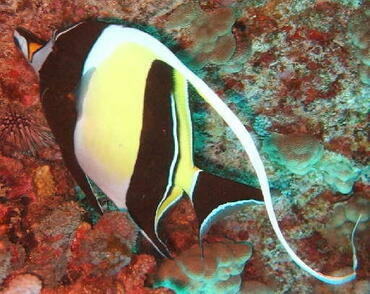 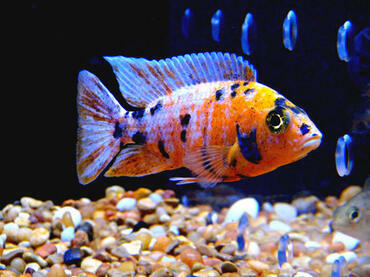 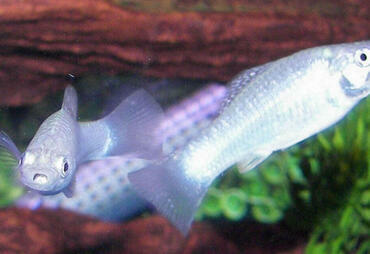 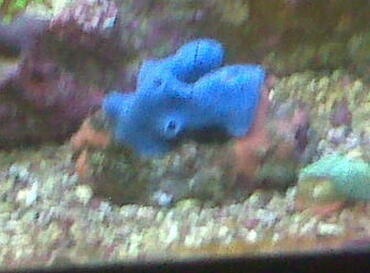 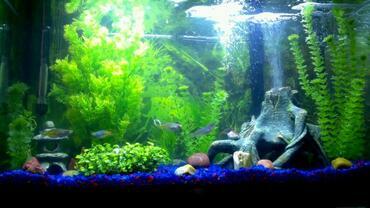 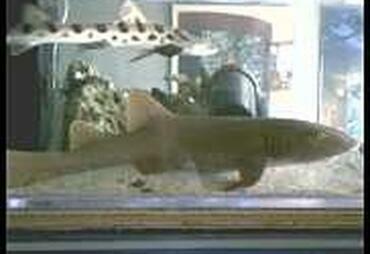 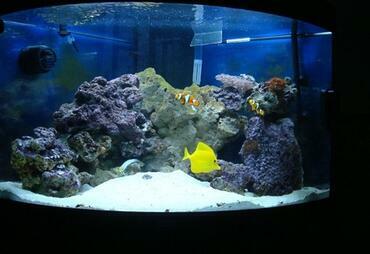 This type of color is fairly difficult to care for because they require very stable tank conditions and high lighting. 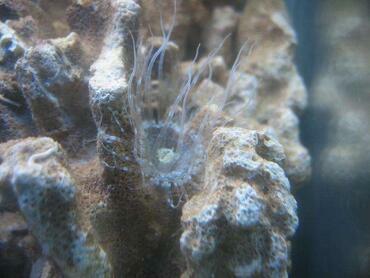 Finger coral is named for the finger-like shape of its stalks. 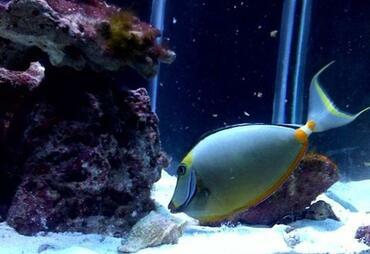 This type of coral is peaceful but you should still give it plenty of space in the aquarium – you also need to make sure it has high lighting. 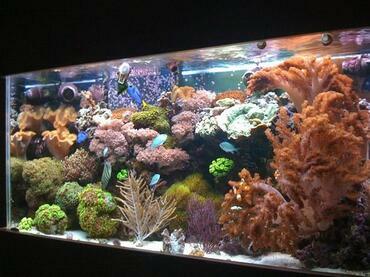 This group of corals belongs to the order Alcyonacea which includes several suborders and families. 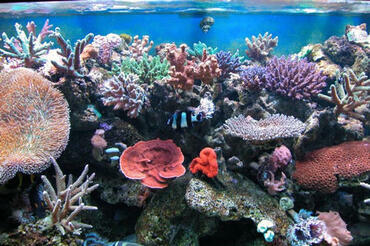 Unlike hard corals, soft corals have fleshy skeletons that may exhibit various types of movement. 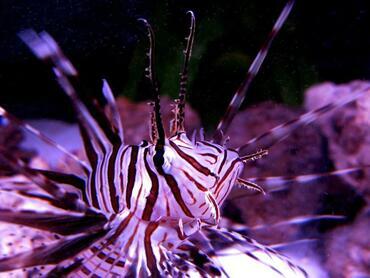 The bodies of soft coral are made up of spiny sclerites which provide structure for the coral while also creating a spiky texture that deters predators. 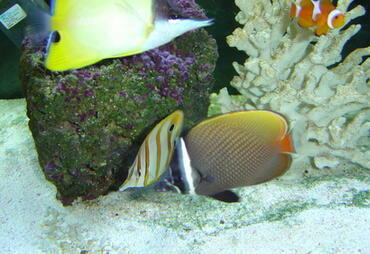 These corals are more flexible in terms of placement in the reef tank as well – they can adapt to low-light conditions as long as they receive adequate nutrition. 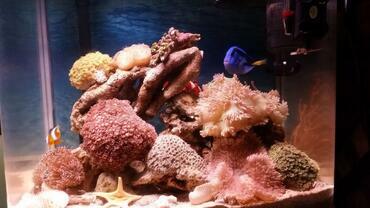 Soft corals come in a wide range of shapes and colors and they are also capable of expanding and retracting. 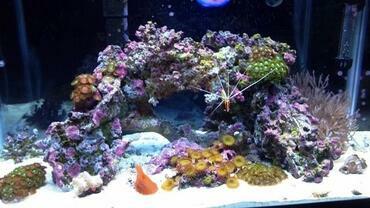 Some of the most popular types of soft coral for the reef tank are blue corals, pipe corals, green star polyps and tree corals. 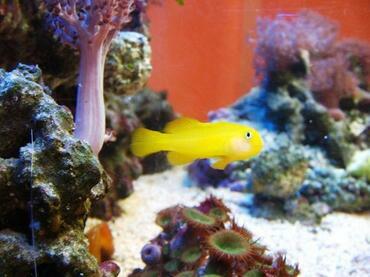 Tree corals have thin stalks compared to other corals and they do not have any polyps on the stalk – they produce thin branches and branchlets that form polyps. 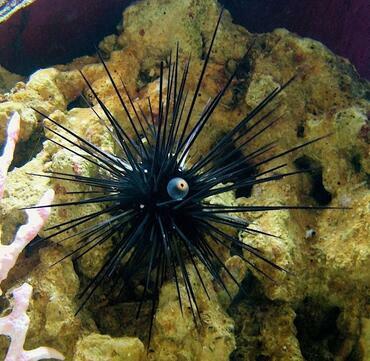 Star polys come in three different colors – white, brown, and green – and they are named for the star-like arrangement of their polyps. 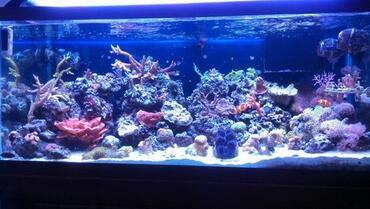 These corals are a good choice for beginners because they are fairly easy to maintain compared to other corals, just be sure they get enough lighting and they have high water flow. 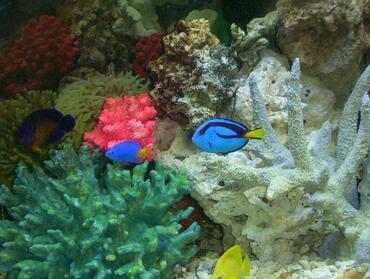 Blue corals produce plate-like or form columns and their skeletons are made of aragonite. 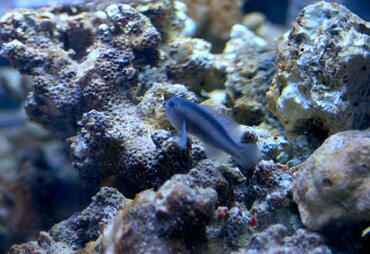 This type of coral can develop small feathery polyps that have an olive green or whitish gray color but the interior turns blue due to its ability to extract iron from the water. 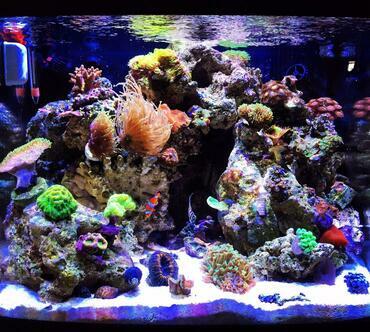 The types of corals you choose to stock your reef tank may depend on the size of your tank as well as your experience in the saltwater aquarium hobby. 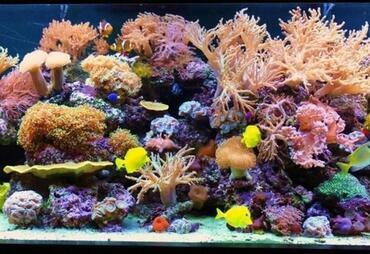 If you are new to the hobby you may want to consider starting out with a few small soft corals because they are more forgiving of changes in water conditions. 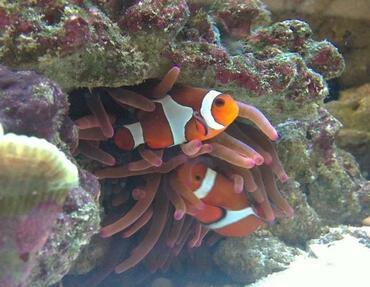 For nano reefs, however, small species of hard coral are often recommended because they have a slow growth rate and will not outgrow the limited space of a nano tank. Before you stock your reef tank, take the time to research a few different species of coral to make sure you select the type that is right for you. 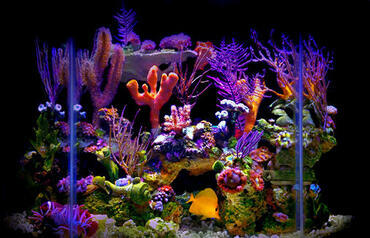 Different species of coral have different requirements in terms of tank lighting and water movement, so match your corals to the conditions in your tank for the best results. 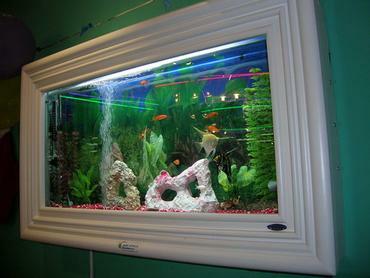 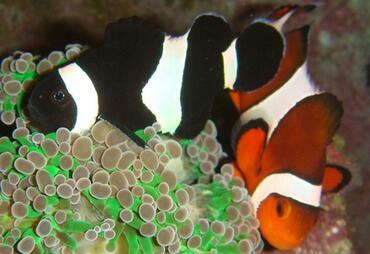 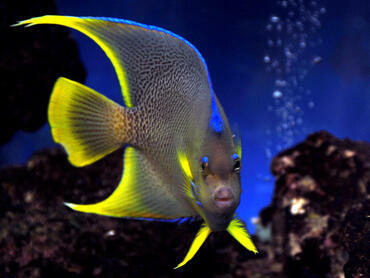 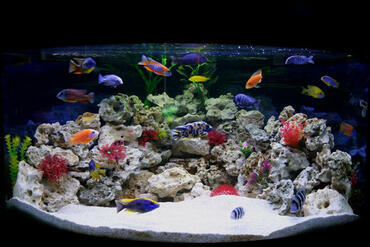 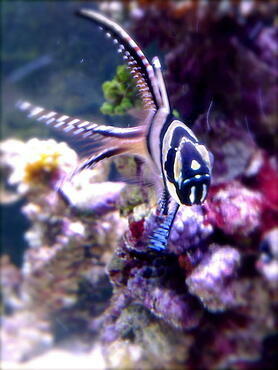 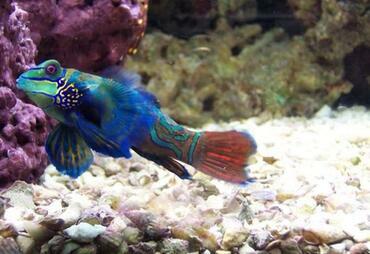 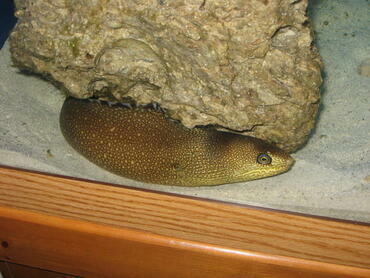 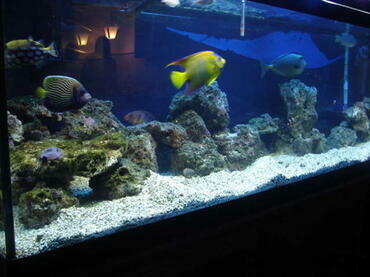 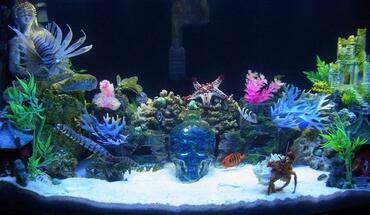 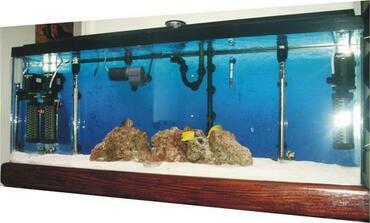 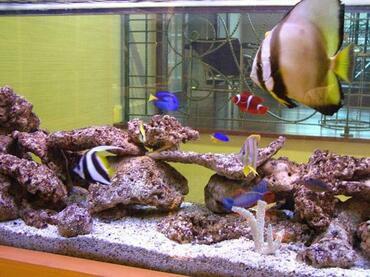 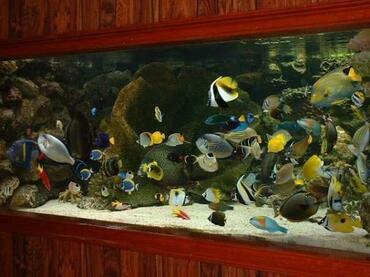 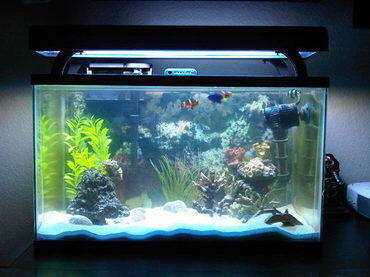 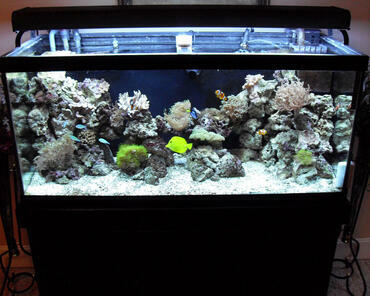 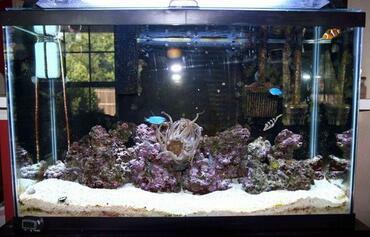 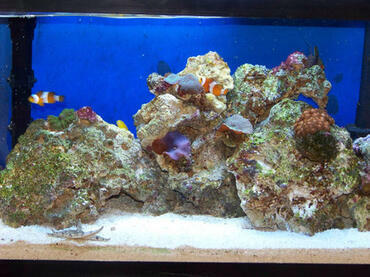 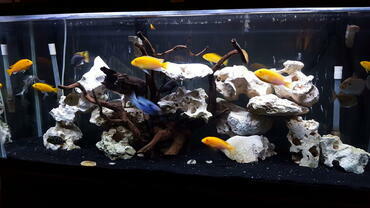 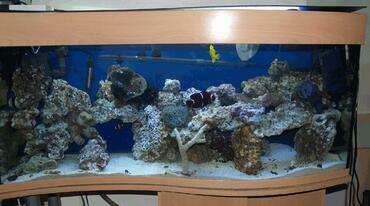 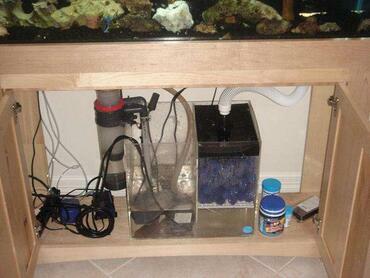 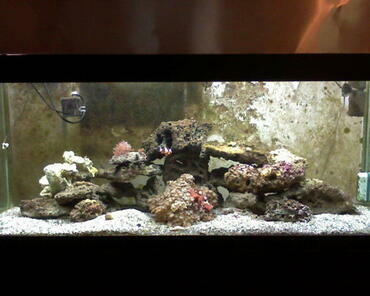 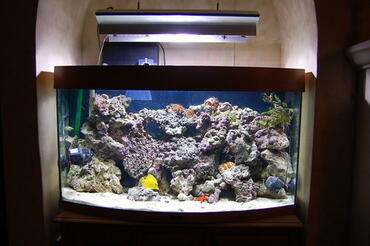 You can also design your tank to cater to your corals if you are starting a new tank.